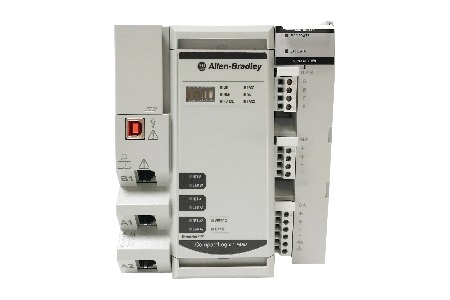 Industrial workers can strengthen their grasp of production and make more informed operating decisions with the new Allen-Bradley CompactLogix 5480 controller by Rockwell Automation. The controller marries a Logix control engine and the Microsoft Windows 10 IoT Enterprise operating system in a single platform, allowing workers to view machine information at its source. The controller can reduce latency by performing real-time data collection at the machine level. Users can view control information at its source, and other information can be sent upstream to the enterprise or cloud. The ability to run Windows applications on-premises can also reduce the need for a separate PC on the plant floor and shrink a machine’s footprint. The CompactLogix 5480 controller can support applications with up to 150 axes of motion. This makes it ideal for large packaging and converting, printing and web applications that would benefit from a simplified architecture and smaller footprint. The controller also provides faster scan-time execution and motion-loop updates to help improve machine throughput. The controller incorporates multiple security functions, including user authentication and authorization, role-based access and digitally signed encryption. And because the Windows operating system runs independently from the control engine, any disruptions to the operating system will not affect machine or line control. Microsoft is a Strategic Alliance Partner in the Rockwell Automation PartnerNetwork program. Rockwell Automation Inc. , the world’s largest company dedicated to industrial automation and information, makes its customers more productive and the world more sustainable. Headquartered in Milwaukee, Wis., Rockwell Automation employs approximately 23,000 people serving customers in more than 80 countries.